Back in November, Google launched Boutiques.com as part of its growing Product Search efforts. The site prompted you to fill out a questionnaire to determine your style, and using algorithms created based on your answers, would present you with options. 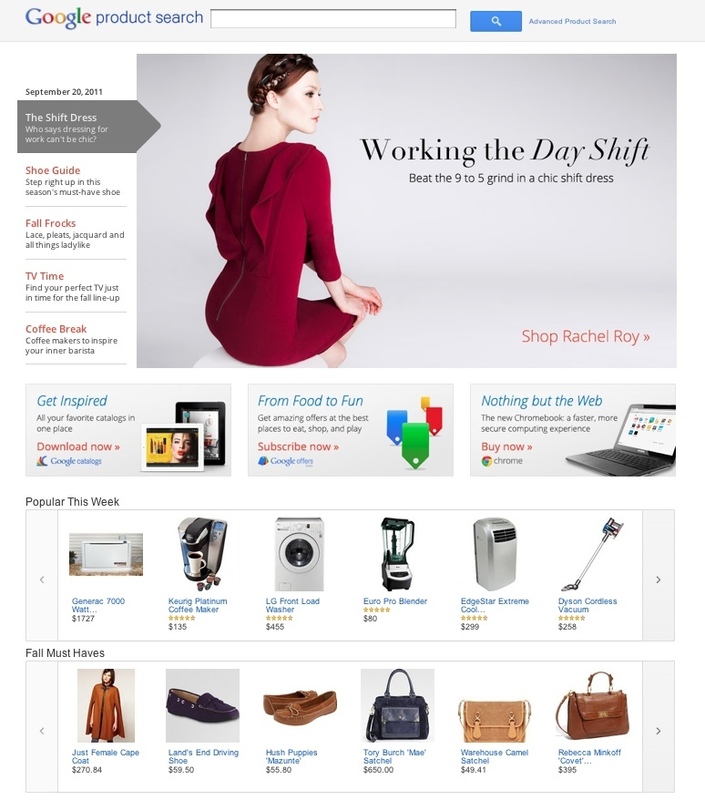 The site bared no obvious connection to Google and was praised for its slick layout, but nonetheless it will be shutting its doors. In lieu of this closure, Google is overhauling its Product Search page. The property has gotten a serious style upgrade and has taken over much of what Boutique was doing with its expanded fashion inventory. The site will officially shut down October 14, when users will be redirected to Google Product Search (users will have the ability to save their preferences so they carry over to the new domain). Google says this will actually lead to a simpler, better online shopping experience. We’re just happy that this means you won’t have to jump between different sites if you want to use Google for purchases. Now users will still be able to access what Boutiques had to offer as well as Google’s various other product categories. They are more than enough style curator websites out there, and the lure Google has over other retailers is its search prowess and its ease of use. A product page makeover that pulls in Boutiques’ offerings without abandoning some of what Google Search is known for (like those left-hand sidebar filters) sounds like an upgrade.